Few people realize how much your hair’s health depends on the vitamins and nutrients that you put into your body. When you think about it, it makes a lot of sense. Your hair grows from your scalp, and it is created using the building blocks that your body has to offer. If you’ve got missing building blocks from a poor diet, then your hair won’t be as healthy as it could be. Vitamin A: You should be getting between 5,000 and 6,000 IU of this vitamin each day, but keep it within that range. Too much Vitamin A can be toxic. It helps your scalp produce sebum, which makes your hair shiny and soft. Vitamin A can be found in most sources of protein (meat, dairy products, eggs) as well as spinach, broccoli, carrots and cabbage. Apricots and peaches are also good sources of the vitamin. Vitamin C: This immune-boosting vitamin is also helpful in creating healthy hair. You need 60 mg a day to produce healthy hair and skin. If you want to eat your daily serving in food form, try adding citrus fruit, kiwi, strawberries, cantaloupe and pineapple to your diet. If you’d rather eat it in vegetables, make sure to eat green peppers, dark green vegetables and tomatoes. Potatoes are also good sources of Vitamin C.
Vitamin E: Vitamin E is effective in helping your hair because it boosts circulation to your scalp. This means that your hair will grow faster. You should know that Vitamin E can raise your blood pressure and reduce blood clotting, so before you start taking supplements you should consult your doctor if you are on any blood pressure medication or anticoagulants. Foods that are rich in vitamin E include many types of oil, nuts, beans and leafy green vegetables. Vitamin B3 (Niacin): This also helps boost your scalp’s circulation. Make sure to stay under the 15 mg daily dosage, or you’ll experience a hot sensation called “niacin flush.” Brewer’s yeast, wheat germ, and protein foods (fish, chicken, turkey and beef) are good sources of niacin. Vitamin B5 (Pantothenic Acid): This helps prevent hair loss and graying of your hair. You need 4 to 7 mg per day, and can reach that goal by eating whole grains, brewer’s yeast, organ meats (like liver) and egg yolks. Vitamin B6: This vitamin helps your body produce melanin, which gives your hair its color. It also prevents hair loss. The recommended dose is 1.6 mg, and it can be found in liver, whole grain cereals, organ meats, egg yolks and brewer’s yeast. 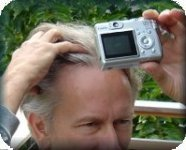 Vitamin B12: The recommended daily dosage of 2 mg can prevent hair loss. You can make sure you’re getting this vitamin by eating plenty of chicken, fish, eggs and milk. Biotin: This supplement helps your body produce keratin, which helps slow hair loss and can prevent your hair from turning gray. You need 150 to 300 mcg of biotin a day, and it can be found in whole grains, rice, egg yolks, liver and milk. Inositol: This supplement helps your hair follicles at the cellular level. You can safely take up to 600 mg, and it is present in whole grains, brewer’s yeast, liver and citrus fruits. You can get most of your healthy hair vitamins by taking a B complex supplement with the recommended daily doses of all the B vitamins. Make sure to read the labels so you can be sure that you are getting all of the vitamins that you need. You can also make it a point to eat “healthy hair foods” that have many important vitamins in them. For example, egg yolks provide biotin, B5, B6 and B12. Keep in mind that these supplements won’t give you healthy hair overnight. It can take up to three months to see results, so stick with it at least that long. You’ll be glad you did! This entry was posted in General, Hair Health on June 4, 2008 by Larry Shapiro.